Renault has received 14,000 orders across its four-model Z.E. 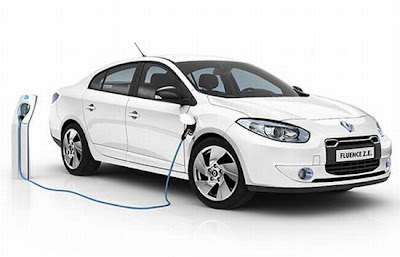 electric car range, the French manufacturer's global head of electric vehicles revealed earlier this week. Thierry Koskas said the figure showed consumer demand for all-electric cars was strong. Along with its partner Nissan, Renault aims to sell 1.5 million electric cars worldwide by 2016 and estimates they could make up 10 per cent of the global market by the end of the decade. The company has three electric models currently available in the UK: the Kangoo van, Fluence saloon and Twizy quadricycle. A fourth, the ZOE city car, is scheduled to hit forecourts in October. The Fluence starts at £17,495, achieving a significant cost advantage over competitors such as the Nissan LEAF by allowing customers to rent the battery separately.